In August 2004, diplomat and former presidential candidate Alan Keyesaccepted the Republican nomination to replace Ryan. In three televised debates, Obama and Keyes expressed opposing views on stem cell research, abortion, gun control, school vouchers and tax cuts. In the November 2004 general election, Obama received 70 percent of the vote to Keyes' 27 percent, the largest electoral victory in Illinois history. 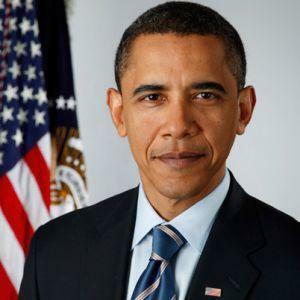 With his win, Barack Obama became only the third African-American elected to the U.S. Senate since the Reconstruction. Nearly one month after President Obama's re-election, the nation endured one of its most tragic school shootings to date: On December 14, 2012, 20 children and six adult workers were shot to death at the Sandy Hook Elementary School in Newtown, Connecticut. Two days after the attack, Obama delivered a speech at an interfaith vigil for the victims in Newtown, discussing a need for change in order to make schools safer, and alluding to implementing stricter gun control. "These tragedies must end," Obama stated. "We can't accept events like these as routine. In the coming weeks, I'll use whatever power this office holds to engage my fellow citizens, from law enforcement, to mental-health professionals, to parents and educators, in an effort aimed at preventing more tragedies like this, because what choice do we have? . . . Are we really prepared to say that we're powerless in the face of such carnage, that the politics are too hard?" After the inauguration, Obama led the nation through many challenges. None more difficult perhaps, the bombing of the Boston Marathon on April 15, 2013. Three people were killed and more than 200 people were injured in this terror attack. Obama traveled to Boston to speak at a memorial service three days after the bombings. To the wounded, he said "Your country is with you. We will all be with you as you learn to stand and walk and, yes, run again. Of that I have no doubt. You will run again." And he applaused the city's citizens response to this tragedy. "You’ve shown us, Boston, that in the face of evil, Americans will lift up what’s good. In the face of cruelty, we will choose compassion."